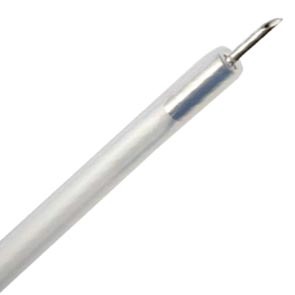 Scelerotherapy Needle is used for Endoscopic Injection into Esophageal Varices above O.G.Junction. Specially developed needle to provide secure firm grip with inner tube & prevent possible leakage from the joint of inner tube & needle. Specially developed needle to give "JET" pressure to inject the drug.